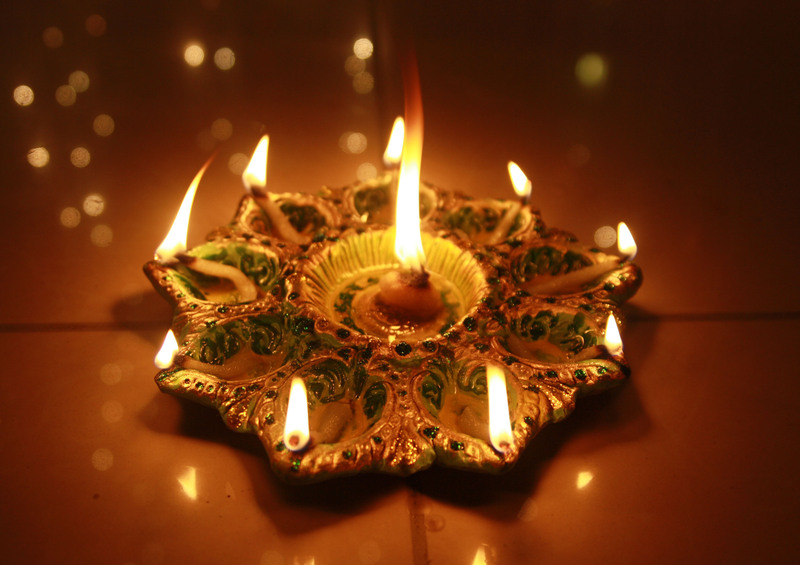 Warm wishes to all of you on this auspicious festival of light and hope all of you have a fun filled Diwali. 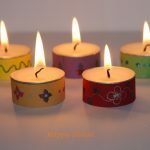 It is a very busy time with all the cleaning, cooking and managing kids (with school holidays of 10 days). 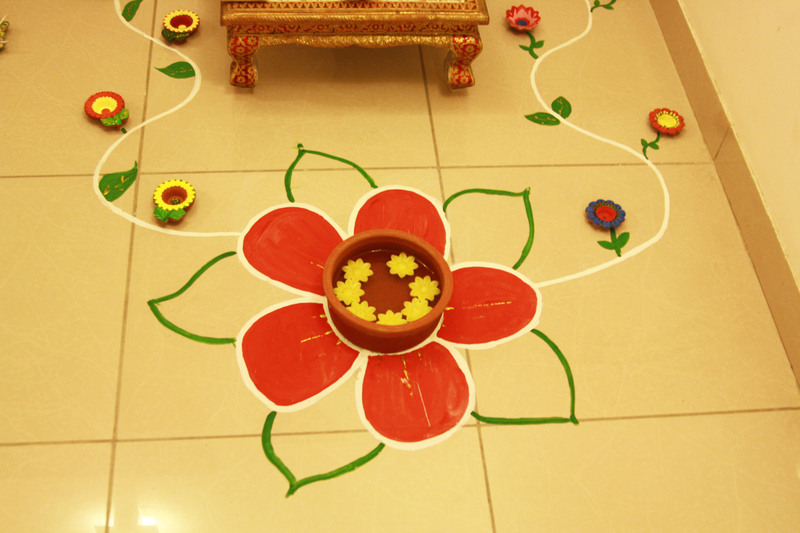 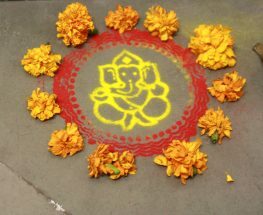 Fortunately I realised in time that it was futile to expect reasonable behaviour from kids in holidays so this Diwali I acted very smart and involved them in Diwali decoration so that their energy can be utilised in the proper manner. 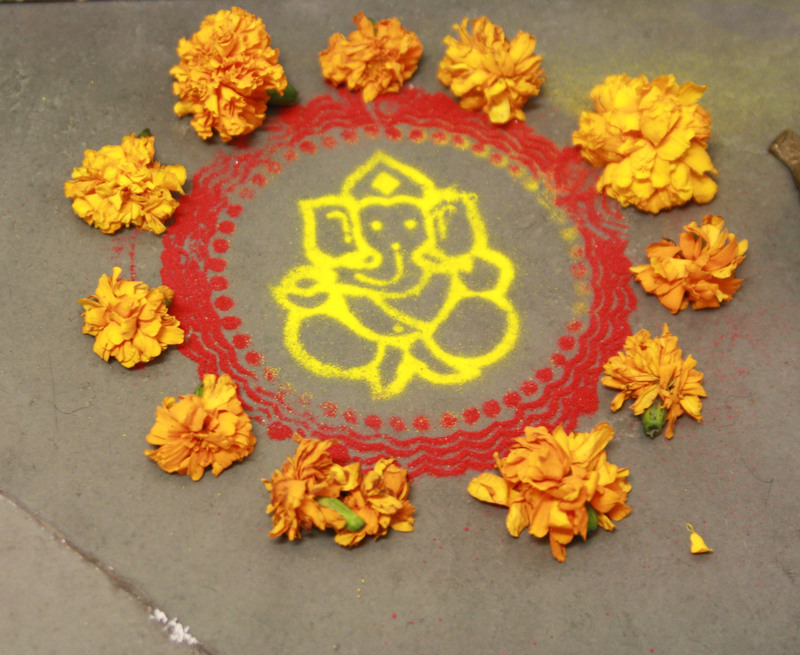 We decorated diyas, made rangolis and sweets. 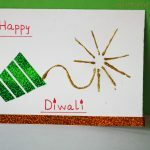 This not only helped in keeping them away from TV and Playstation but also got them all excited about Diwali. 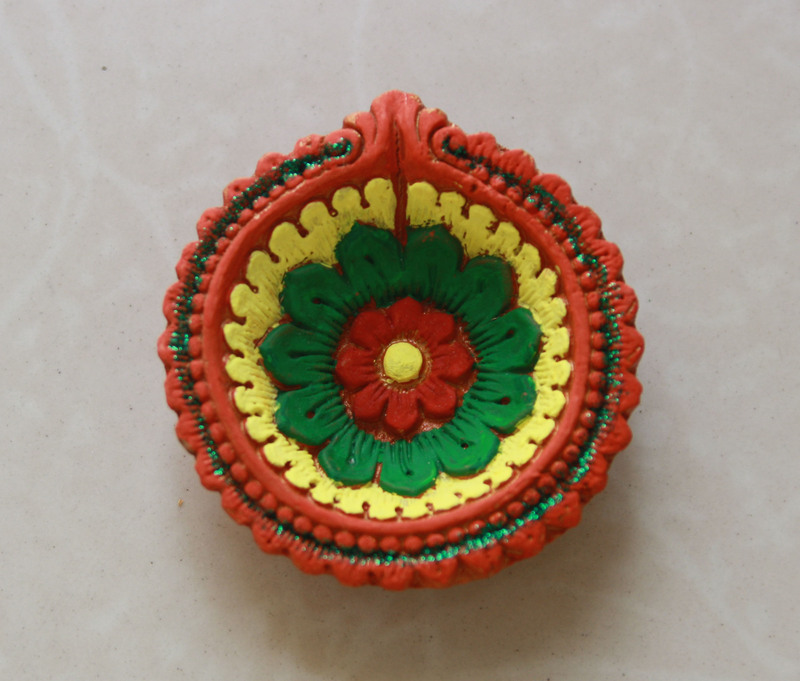 My 10 years old son loved it so much that he stayed awake late to finish colouring the diyas. 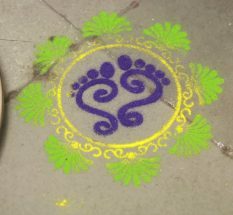 My younger son who is only 4 years old took charge of providing colours, dusters and some entertainment by dancing to the loud music. 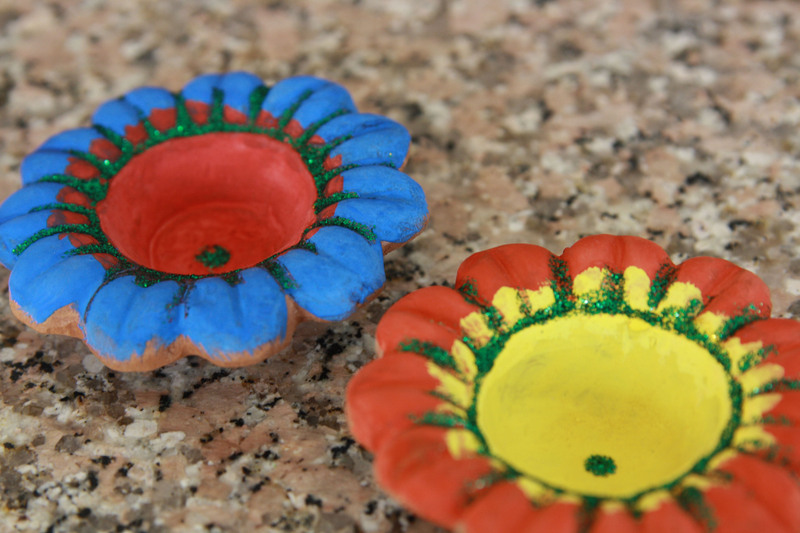 Here I am sharing some photos of diyas and rangoli we made. 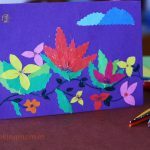 Handmade cards for Diwali – Send handmade cards to loved ones this Diwali. 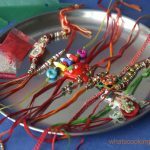 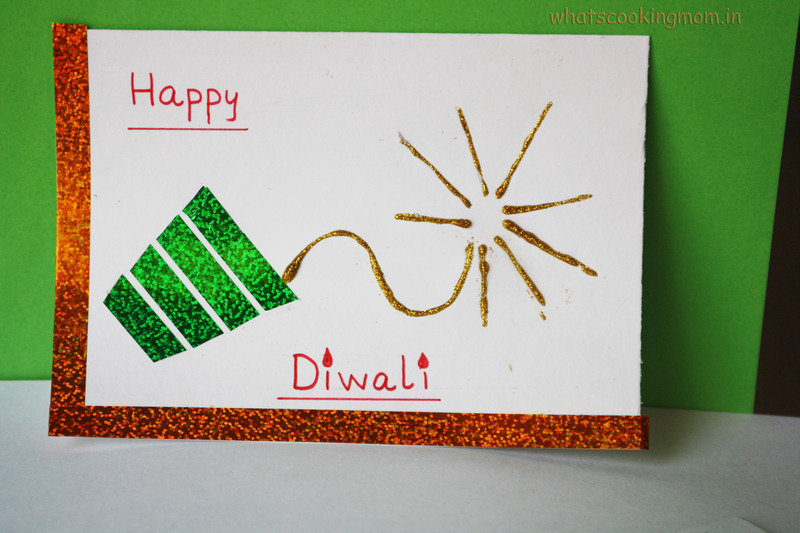 Try these really simple and cute handmade Diwali cards. 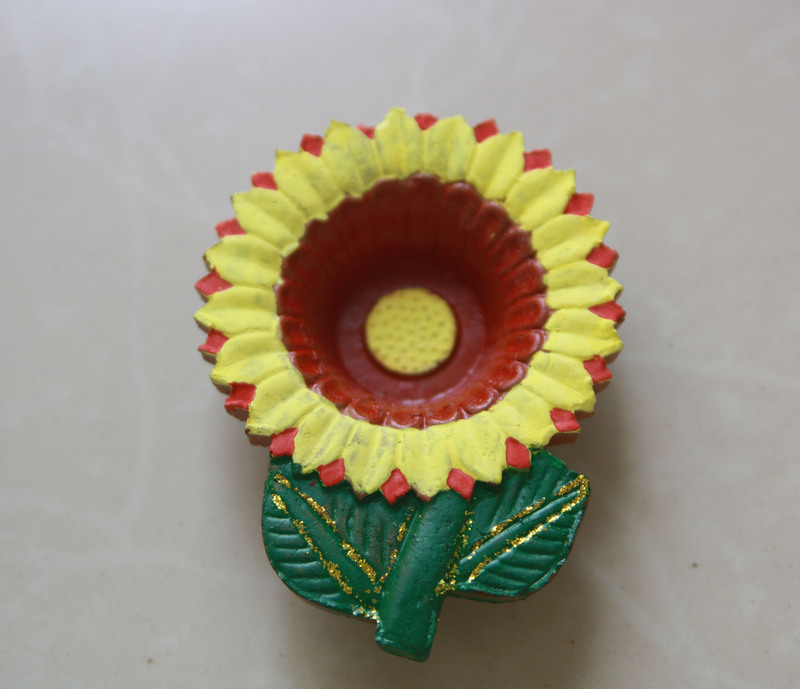 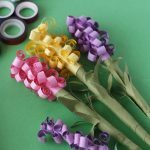 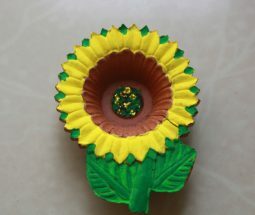 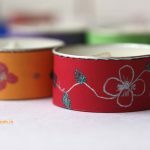 Decorative tea light candles – Diwali craft. 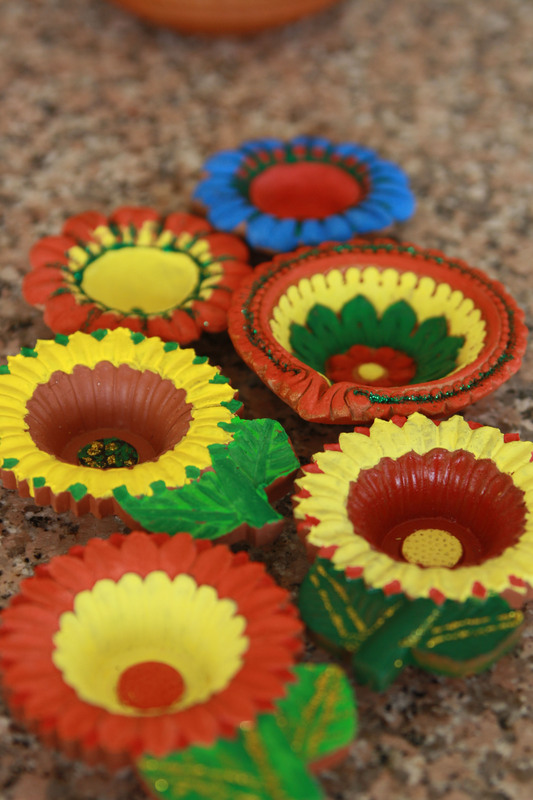 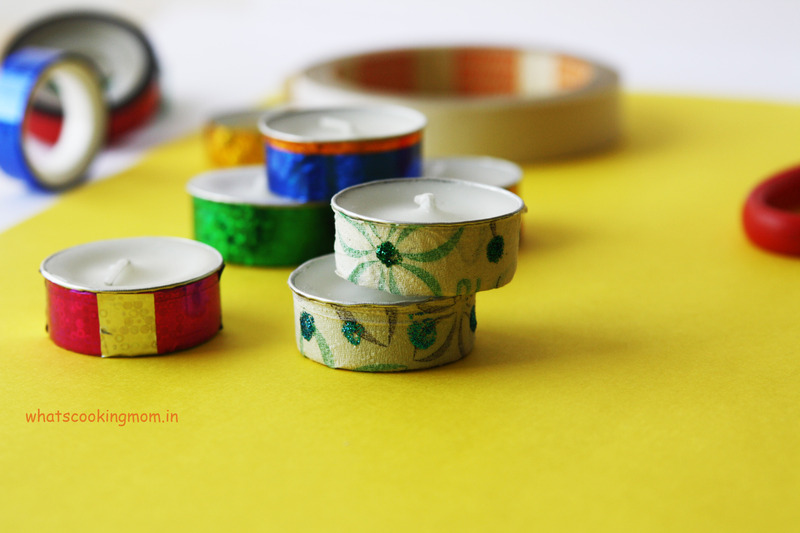 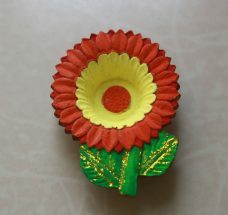 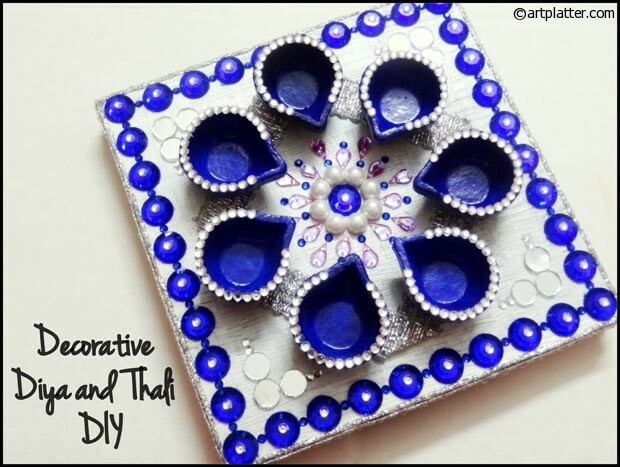 Make these Decorative Tea lights for diwali with your kids. 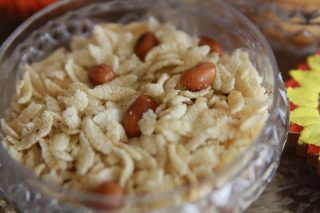 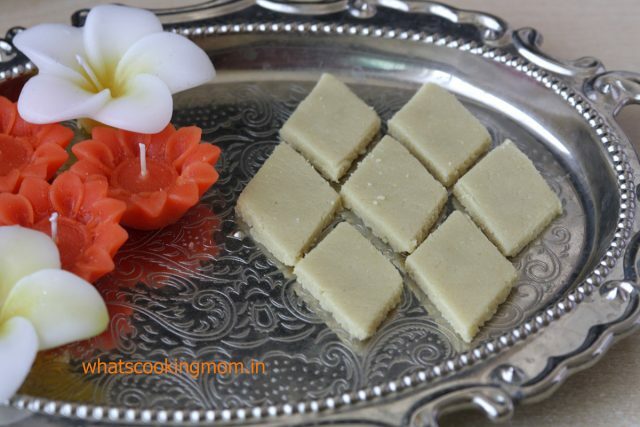 Check my Diwali special recipes to see recipes of popular Diwali sweets and Diwali snacks. 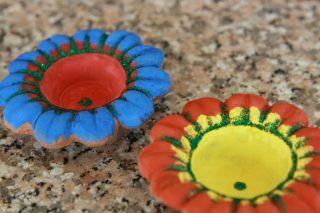 Hey.. wat paint you used to paint diyas? 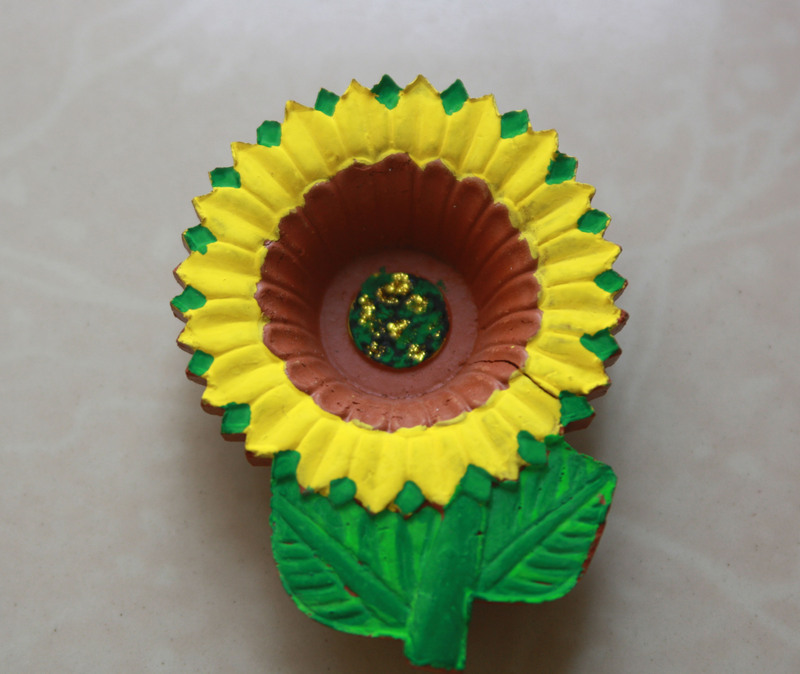 Hello, I have used poster colours.